September 4, 2013 - Why Choose Lexington Park? 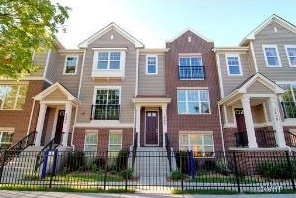 Have you been looking for a brand new beautiful townhome to move in to?? Look no further than Lexington Park in Des Plaines. Why Lexington Park?? We are conveniently located to O’Hare, I290 and I294, Downtown Chicago – just a short walk to catch the Metra if you desire. Why New Versus Used Home?? With a new home, you can make all your own personalized selections! Build the home exactly the way you want it and not have to rip out old stuff and spend the time and money making it your own home. With a new home.. there are no “surprise repairs” needed. We supply you with a 10 Year Warranty. So no worries! If you want to build your dream home at Lexington Park, you need to act quickly!! We only have a handful of homes left! Once they are gone… they are gone. Call us at 847-299-0500 to schedule an appointment to view our 3 spectacular model homes and choose the one that is best for you!